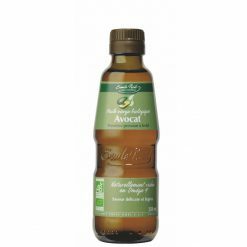 An organic Fairtrade extra virgin avocado oil, this cold-pressed oil is emerald green in colour. It has a velvety texture and a light, delicate flavour. Like olive oil, it naturally contains Omega 9. Emile NoÃ«l is the leading supplier of high-quality organic oils in France and a pioneer in organic oil milling. The company shifted to 100% organic sourcing in 1972, and has subsequently hel”ed set the agenda for those standards. It is an independent family business established in 1920. Today, it continues under the leadership of the third and fourth generations, Annick Garnier and David Garnier. Emile NoÃ«l has set the highest standards in quality and taste by ensuring that analyses are carried out on raw materials, during processing and on each finished product. If the companyEEs standards are not met, the oil will not be bottled.